It’s an idea that has captivated those who fight for justice for criminal defendants: the evidence put forth by studies which definitively demonstrate that the degenerative brain disease, chronic traumatic encephalopathy (CTE), could effectively cause its victims to suffer from insanity. Coverage of the issue has made headlines of late based on the case of former NFL tight end Aaron Hernandez, who, in 2015, was convicted of murder, and took his own life in late September while serving time in prison. There was no question that his violent tendencies, mood swings, and memory loss resulted from the thousands of hits he took on the football field. Specifically, his doctors indicated that his disease was the worst they’d seen in someone so young. Unfortunately, CTE can only be confirmed as a diagnosis once a player dies, as it relies on testing brain tissue. This has led to challenges in definitively using it as a criminal defense. However, the study conducted by Boston University found CTE present in 110 of the 111 NFL brain tissue samples that it tested, indicating that presuming CTE in NFL football players could be, arguably, accurate. 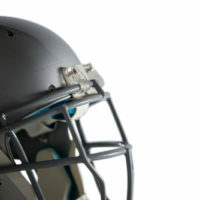 While additional studies will need to be done (and this presents its own unique set of challenges, as the studies rely on the families of deceased NFL players to first donate the deceased’s brain tissue for testing), it is well-accepted that, after several years of research, the symptoms of CTE and the disease’s behavioral manifestations are well scientifically-established. In other words, there is no question that information we now have about CTE would have been critical to the jury’s analysis in Hernandez’s trial because there was ample evidence that he exhibited the characteristics before and after being charged. In Massachusetts, where Hernandez stood trial, state law requires that the government prove all elements of the crime beyond a reasonable doubt. Under the insanity defense, if you suffer from a mental defect which renders you substantially unable to conform your conduct to the requirements of the law, you could successfully assert the insanity defense. It is no coincidence that football players are disproportionately charged with violent crimes compared to the general population and even other professional athletes, and there is no dispute that suffering from CTE deprives an individual of the ability to handle disputes rationally. If being afflicted with CTE equates to insanity, then former NFL players who have it must be treated differently inside the courtroom, and even before they reach it. If you have been accused of murder or any other violent crime, it is crucial that you consult a criminal defense attorney who is well-connected to the science and experts necessary to establish the very best criminal defense which will ensure that you receive justice. Phillip J. Murphy has been representing clients accused of crimes throughout New York and New Jersey for more than 25 years. Contact our office today for a free consultation and we’ll discuss your options.